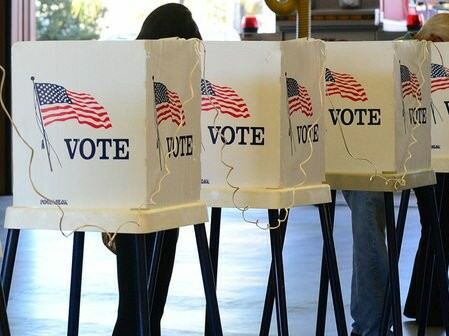 A ballot measure that goes before California voters in November seeking to amend the state Constitution has a controversial section that deals with strings attached to money school districts have controlled on their own. In effect, the state would have the right to place a cap on how much money a district can keep in reserve, which sounds simple enough. But LA Unified and other big school districts are opposed to it because if shifts the right to manage savings and spending to Sacramento. So much for local control. “The reserve proposal is counter to the spirit of local control in the LCFF in that it fails to allow local school communities to make fiscal decisions that best serve the needs of their students,” said Edgar Zazueta, LA Unified’s chief lobbyist. The provision was tucked into Gov. Jerry Brown‘s state budget Sunday night. It’s part of a rewrite of a ballot initiative that has already qualified to go before voters that revises the state’s rainy day fund plan. Basically, each school district would be given a cap — a set percentage of the budget — that it can keep in reserve. LA Unified’s would be three percent. Currently, it’s at five percent. The measure is more complex than that, with a lot of if-this-then-that provisions. But essentially, it would require districts to spend money in better economics times, rather than save it. The mandate would only apply in years the state puts more money in a Prop 98 fund, under a rationale that if the state is saving more, districts don’t have to. Prop 98 sets the amount of money the state spends on K-through-12 public education. Two percent of LA Unified’s $7 billion budget is the equivalent of $140 million. That would pay for a lot of teachers, librarians and counselors, which is why the California Teachers Association (CTA) has been such a strong proponent of the measure. After years of layoffs and flat salaries, teacher unions across the state want raises for current personnel and the return of those laid off during recessionary years — although at this point, it’s hardly clear how districts would spend the money. LA Unified and other districts around the state object to the change for two major reasons: One, as Zazueta said, it reduces dollars districts would rather have for long-term and emergency spending. Second, it seems to countermand the new spirit of local control build into the overhaul of state spending on public education. Approval largely depends on whether voters think school districts should be spending more money or saving it. What they would spend it on is a fight for another day.